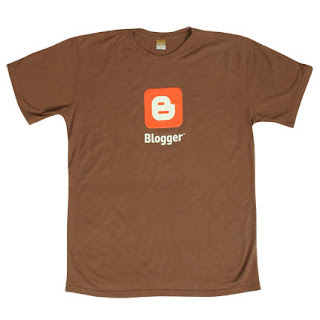 I’m stylin’ with a brand new Blogger t-shirt. It arrived via UPS while I was in South Texas. I figure with my 500th post not far off, I might as well sport one. By the way, mom2amara picked up one free. I spent about 20 bucks on mine but I’m not bitter, not bitter at all! Just like the picture, it’s brown and here’s the interesting part, it’s made out of 70% bamboo. Who knew you could make t-shirts out of bamboo. The other 30% is cotton. It feels different. Bamboo has been praised as the “the natural, green and eco-friendly textile of the 21st century.” naturallybambooclothing.com says The Japan Textile Inspection Association found that even after washing bamboo clothing 50 times, bamboo fiber still has excellent anti-bacteria properties. I’m fine with all of these facts but I’m just happy the new shirt arrived and it’s very comfortable. Apparently, bamboo shirts are going to be something we’re going to hear more about over the next few months.